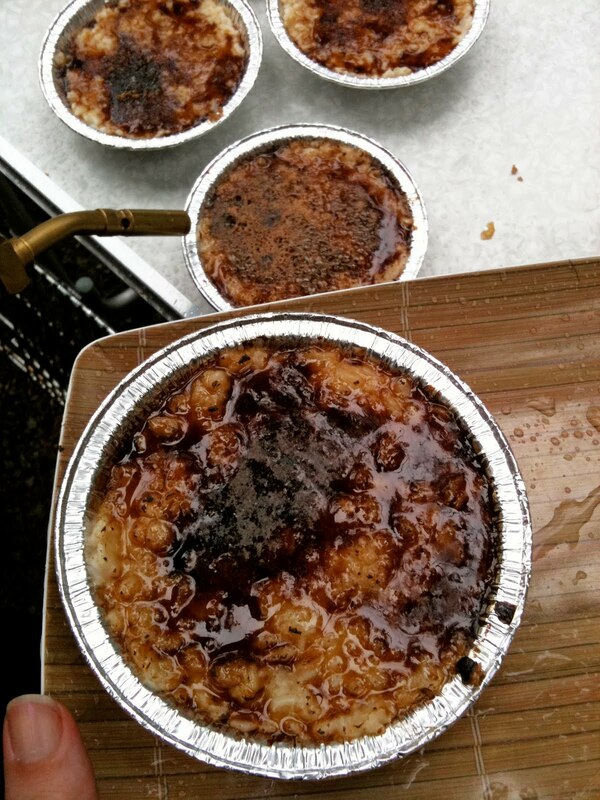 Oh that heavenly crunchy-crispy-sugary crust on a crème brulée brought to you in a breakfast form? That's right. We packed the kitchen torch on our last camping trip and made oatmeal brulée for breakfast. It turned out to be a comforting meal on a sprinkling, chilly morning. Is there a recipe for this? Or is it just oatmeal with brown sugar bruleed? You are right Kiley. It's regular oatmeal anyway you like it. Then brown sugar on top and torched within an inch of its crunchy but not burned life.